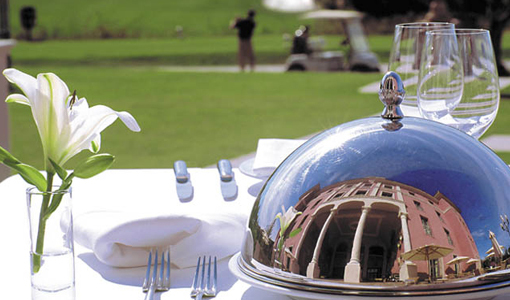 The Villa Padierna Palace Hotel, located in Marbella on the Costa del Sol, has been awarded the prize for the best “Golf Resort” in the world in the final of the World Travel Awards (WTA), celebrated at the Oberoi Hotel in the Indian city of Gurgaon. This is the only six stars Hotel in Andalusia and was presented for the first time to these awards, considered the ‘Oscars’ of tourism, and competing with Hotels like Castle Adare Manor Hotel in Ireland or South African Pezula Resort Hotel overlooking the Indian Ocean. For the selection of the hotel complex have been taken into consideration mainly its three golf courses with 18 holes each, being headquarters of international tournaments and facilities overlooking the Mediterranean, personalized service and lessons tailored to customer needs. The World Travel Awards were established in 1993 to recognize excellence in the travel industry and tourism, whose award is chosen by the vote of industry professionals such as travel agencies and operators in 150 countries. Visit as well our comprehensive page of Hotels in Marbella.